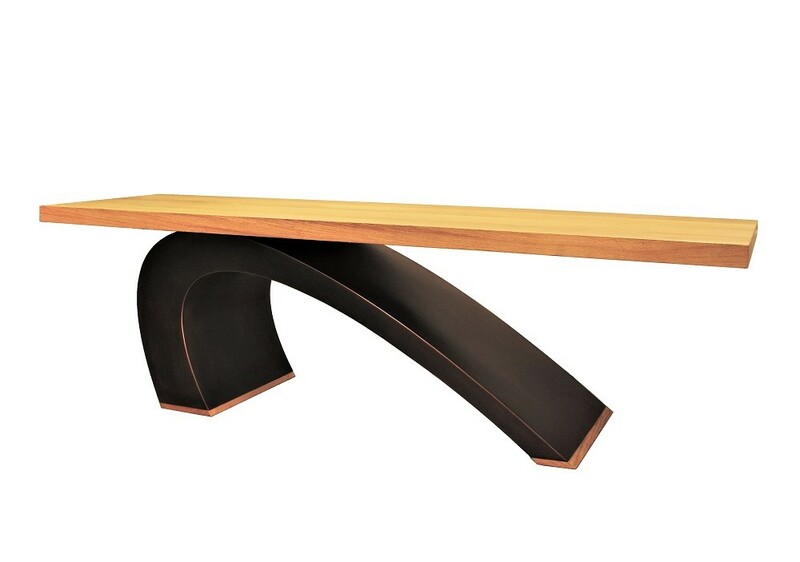 When it comes to designer coffee tables the ultra-modern Surf has it all. The Surf is our signature piece and certainly delivers the wow factor. Giving the appearance of defying gravity this designer piece gives a nod to the principal of cantilever. The sweeping curve of the box section base reflects the breaking waves at the shores edge and the solid wood top, a surfer’s board. It not only makes a beautifully stylish coffee table but also an incredibly strong bench and is suitable for both the home and garden. This luxury coffee table has a bold design and will easily take centre stage. 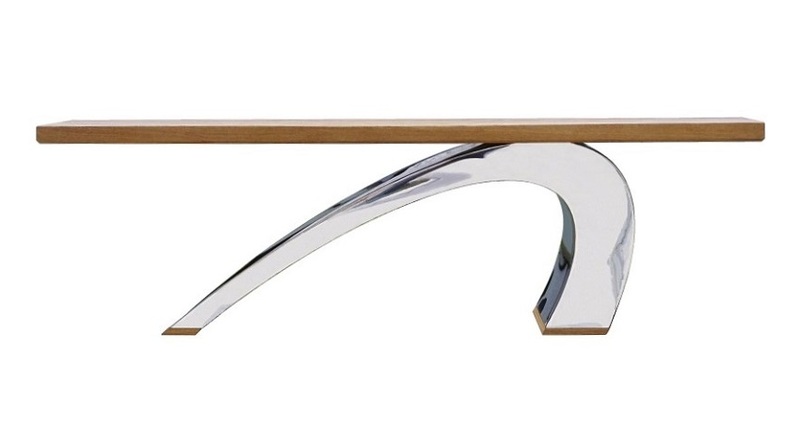 Choose a mirror polished stainless steel base for a complete contemporary look. Copper for a warm and luxurious feel or perhaps bronze for a more subtle effect. But we can finish this coffee table in any of our specialist metal finishes. The table base has a wave design steel box-section construction. Available in a choice of mirror polished stainless steel or metal finished in bronze, brass or copper. Table top and feet are solid wood. Choose from oak, walnut or cherry. Alternative wood choice is available on request. Comes waxed or fine lacquer finished. Dust base regularly and only if necessary, wipe clean with a damp cloth, buff after with a dry cloth. Avoid placing sharp objects on wooden top to prevent scratches.